Being a paid up member allows you to take part in events organised by the BHKC. 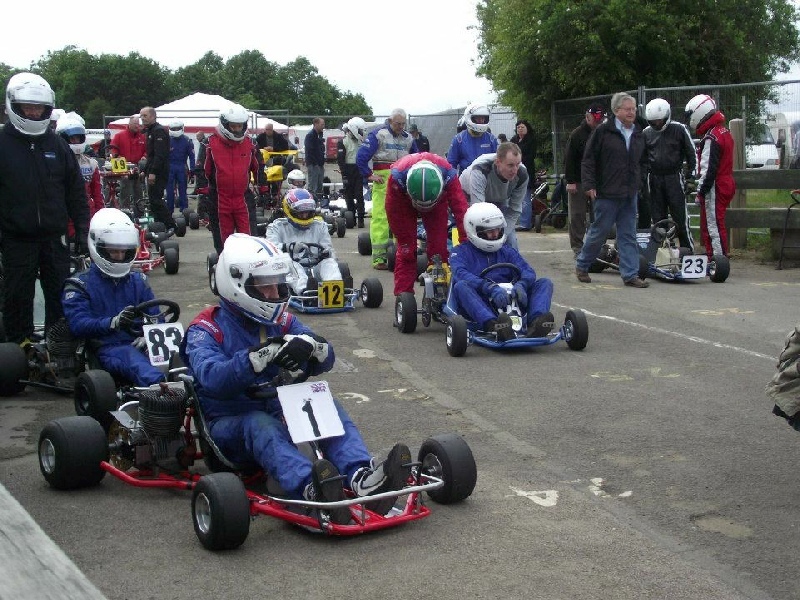 These range from showing your kart at Autosports International and Kartmania through demo events at circuits such as Shenington and Rissington, Saturday Track Days held in conjunction with Retro Racer to demos at prestige Historic Motorsport events such as the Donington Historic Festival & Silverstone Classic. All members are sent a quarterly newsletter. 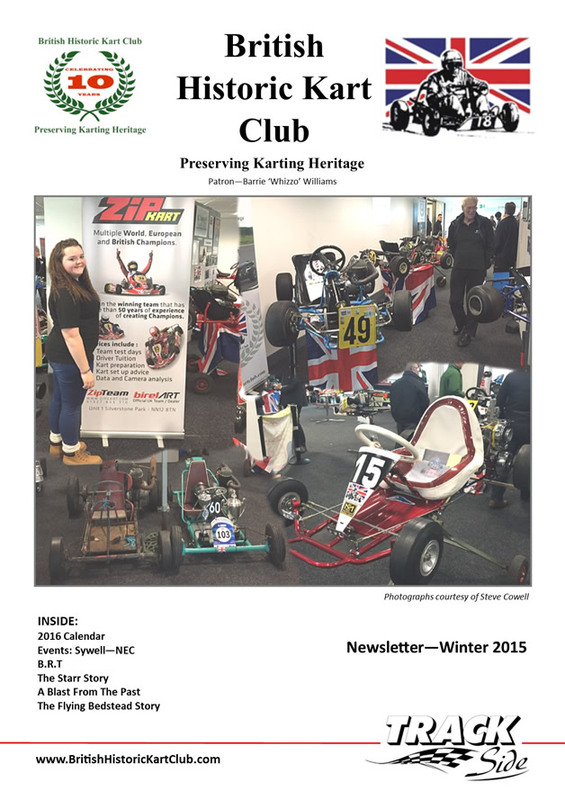 These colourful round-ups of BHKC events and activities are dispatched to paid-up members with copies also going to a list of “Friends and Strangers”, a diverse listing which includes senior historic karting orgisers in foreign countries, members of the UK press, compatible UK organisations and so on. The Editor is heavily dependent on members to supply suitable articles, but such are the many humorous problems and vicissitudes experienced by members reconstructing and reconditioning old karts, this Newsletter is invariably as entertaining as it is informative. Please note that Club Membership runs from 1st January to 31st December. Membership must be renewed by 1st January otherwise membership will be deemed to lapse. Membership for any new members joining after 1st September will continue to the end of December the following year. Subscription is £40.00 per year for a full member and £20.00 for a social member. 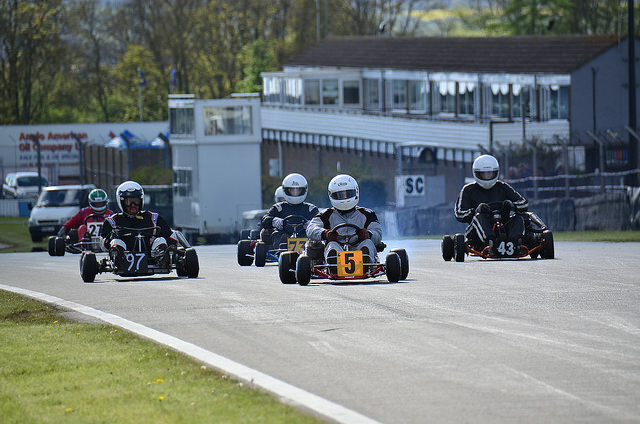 Social members do not have automatic rights to drive a kart at our events unless prior permission is given. We are now introducing family member-ship at £60.00. This will predominantly cover family members living at the same address, nominally parents and children but will also cover parent/guardian and young children living at different addresses. 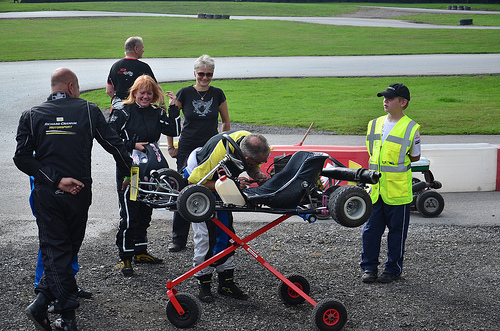 The idea is to get the family more involved and to encourage every-one to have a go in a kart. It also makes it easier for fathers/mothers to test their child’s kart if there is a performance problem. Social Overseas Rates: Europe €30, Rest of World £25.00. Rates are based on the fact that most overseas members will receive the newsletter (overseas postal rates) but only attend one or two of our events per year. Peter Brinkworth, Treasurer, 79 Paddock Lane, Redditch, Worcestershire, B98 7XT.